Hello Sunshine and Happy October! I had to check my calendar twice because it just can't be October already. For the past couple of days it has definitely felt like fall, the air is crisp and sweaters are in order. 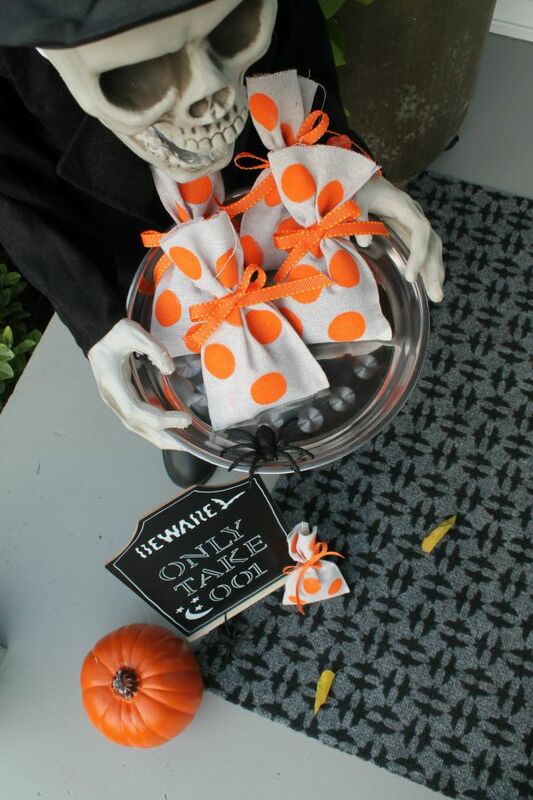 As part of my Halloween Style Challenge, I created some cute, festive treat bags made out of drop cloth. You know the stuff painters use to protect the floor from splatters and such. I love to find new, useful ways to utilize materials that was otherwise intended for another purpose. 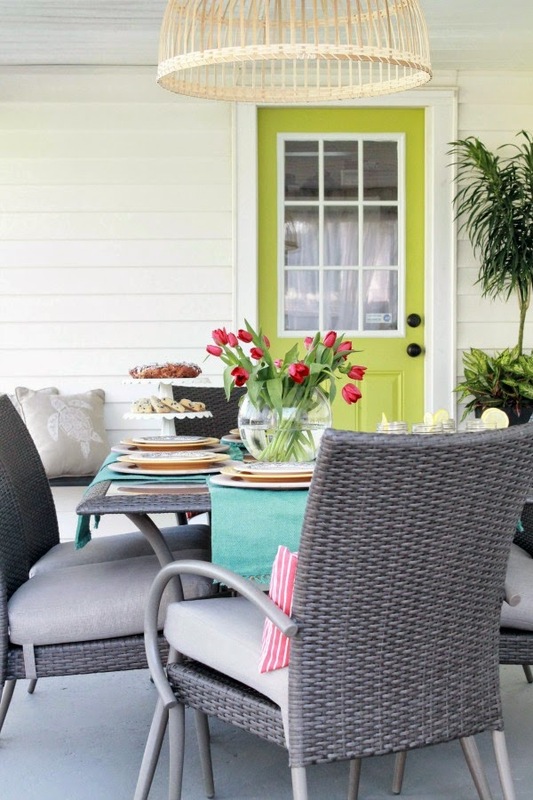 The great thing about this project is that you can adapt it to any holiday or occasion! Birthdays and classroom parties come to mind. 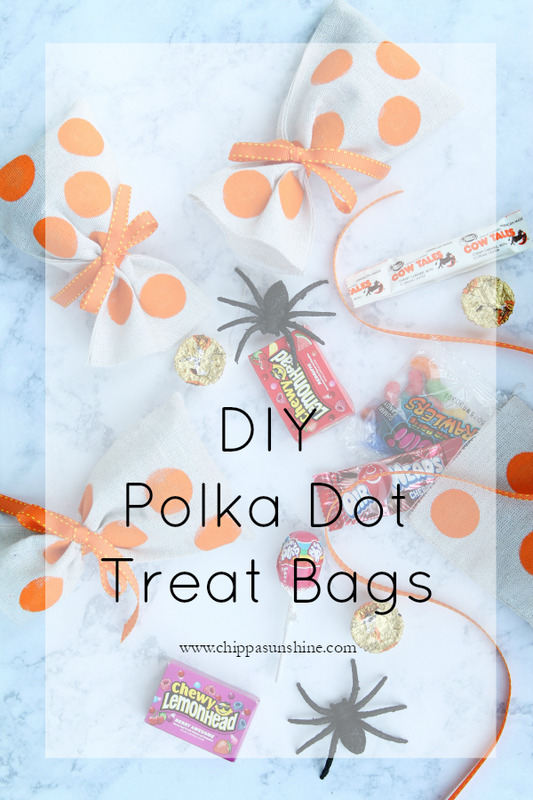 Today, I'm going to show you just how to make these polka dot Halloween treat bags. It's pretty simple! 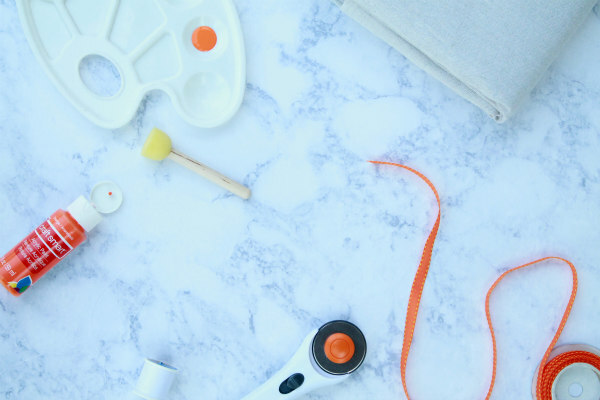 ONE | Cut the drop cloth for your bags. My bags measured 4.5 x 13 inches unfolded and 4.5 x 6.5 inches folded. You can make these bags any size you wish by either making a template of your measurements out of cardboard to use or you can tear this material at your measured location, it does tear in a straight line, but I did mine a tad bit different. After cutting off the hem of the drop cloth, I folded the cloth so that it measured 6.5 inches from the folded edge and pressed the fold into place with my iron. Using a rotary cutter, self-healing mat, and ruler as a straight edge I cut along the raw edge to separate my unfinished treat bags from the rest of the material. You should now have a long folded piece of cloth that measures approximately 5 feet by 6.5 inches. 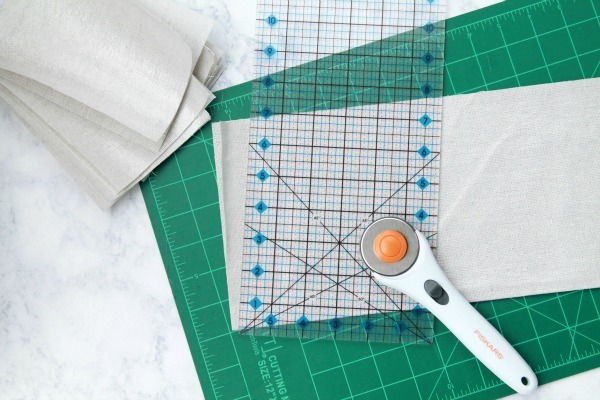 Using the rotary cutter, mat, and ruler cut out individual bags from your material every 4.5 inches. You will end up with roughly 12 to 13 bags. TWO | This is where you can get creative. For my bags, I chose orange polka dots. It was simple and paid homage to Home Depot. Using a foam pouncer, I added the polka dots in various patterns. Each bag is slightly different. On one bag I just put one dot, it cracked me up! 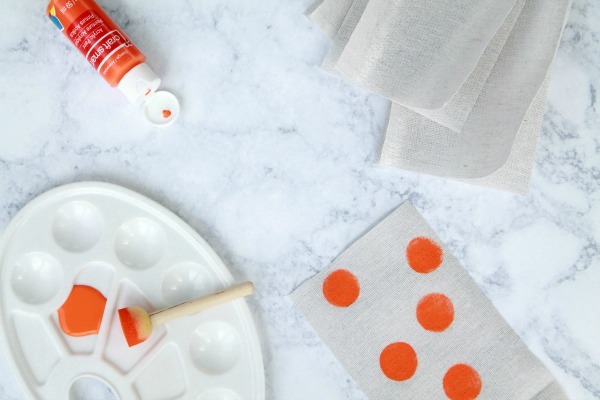 Remember to offload the excess paint on a plate or paper towel before stamping the bag. Once you are done painting, let your unfinished bags dry completely for at least two hours. I chose to paint before I sewed up the bags, you can always do this step afterwards, there is no right or wrong way to do this. 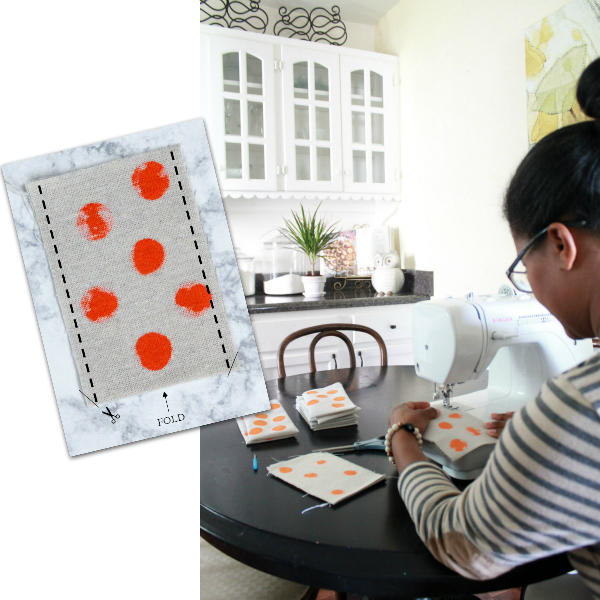 THREE | Using your sewing machine, with right sides facing, sew up sides of the treat bags using a 1/4 inch seam allowance. I did not finish the top edges of the bags, I simply left them raw and I love the look. Clip the corners on the folded edge and turn right sides out. You clip the corners to have nice flat, squared off edges, it looks professional. Make sure you don't snip to close to your stitching. Press flat. FOUR | Fill with treats and tie closed with ribbon! 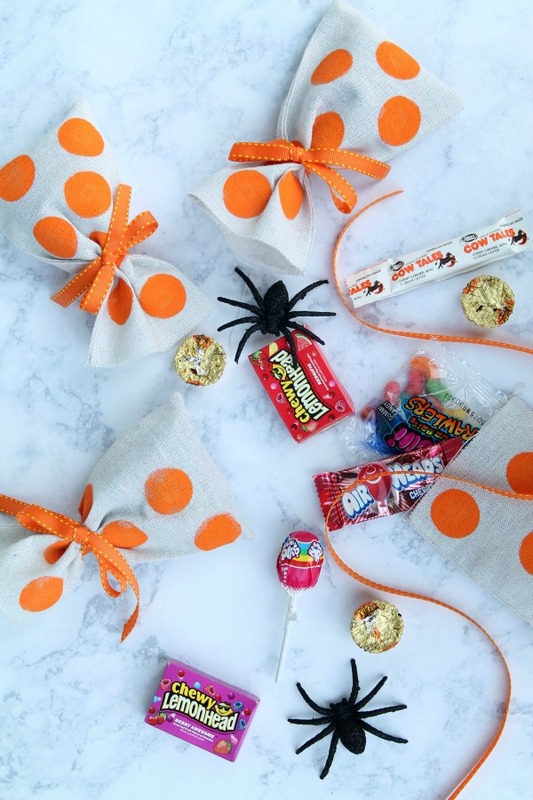 Now you have a set of super cute treat bags to hand out to trick-or-treaters, partygoers, or a wonderful someone who you want to make smile! I hope you found this tutorial helpful, feel free to shoot me an email or comment if you have any questions. I hope you all had a chance to check out my Home Depot Halloween Style Challenge, if you haven't check it out HERE. 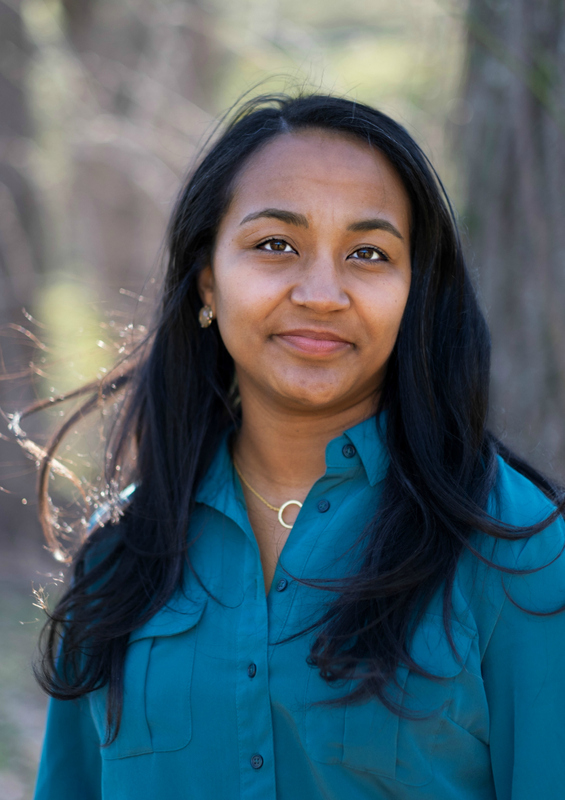 I love these Darnetha. They are so cute!